The 30-foot “Everest” slide at the Children’s Winter Festival. 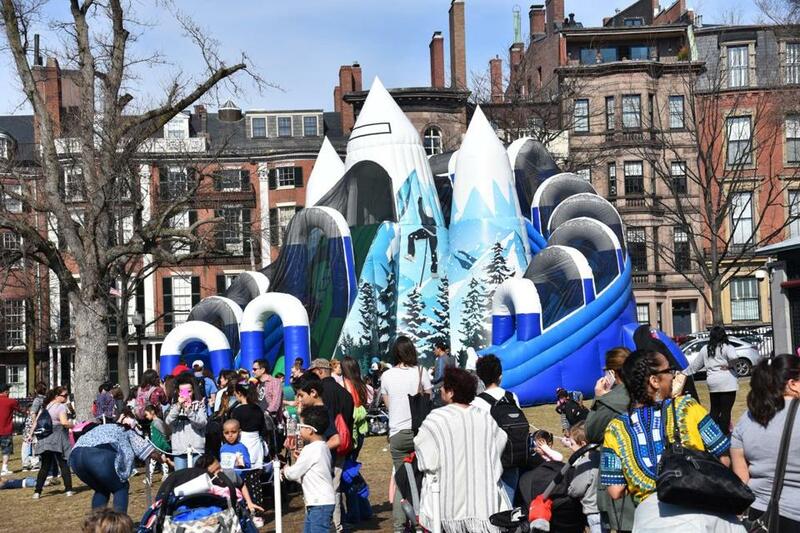 If a tropical vacation or ski getaway isn’t on your February school vacation horizon, head to Boston Common instead. The annual Children’s Winter Festival takes place on Wednesday, Feb. 20, beginning at 10 a.m. Plunge down a 45-foot-long toboggan tunnel or a 30-foot “Everest” slide, pose for a chair lift photo op (almost as good as the real thing), and vie for giveaways from 103.3 AMP radio. Not to mention souvenirs from “Ralph Breaks the Internet” or “The Little Mermaid.” Companies including Cabot Cheese and Nature’s Path will provide snacks during the four-hour fest.